KIVLAND, Sharon (2014). Footnotes to Capital : a critique of political economy : the process of exchange. Journal of Writing in Creative Practice, 7 (1), 99-109. An extract from Kivland’s continuing transcription of the footnotes from Marx’s Capital. 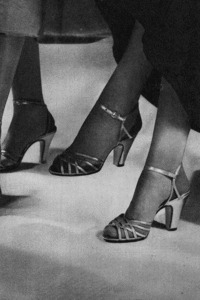 Volume I, in which the main body text no longer appears, and a beguiling photograph of nicely shod women (their feet only, of course) is added. Modular Forms, an issue of the journal edited by Dr Peter Jaegar, in which invited practitioners from a diverse range of fields, including digital writing, performance art, curatorial studies, poetry, music, and psychoanalysis, discuss the deployment of short and/or minimal units of text.